What is a Latte Coffee? What is a latte and is it your go-to order at Starbucks or the local coffee house? If so, you are not alone. Of the 400 million cups of coffee consumed in the United States each day, millions are variants of the latte. Alongside the espresso, cappuccino, and ice coffees, the latte is among America’s big four caffeine products. 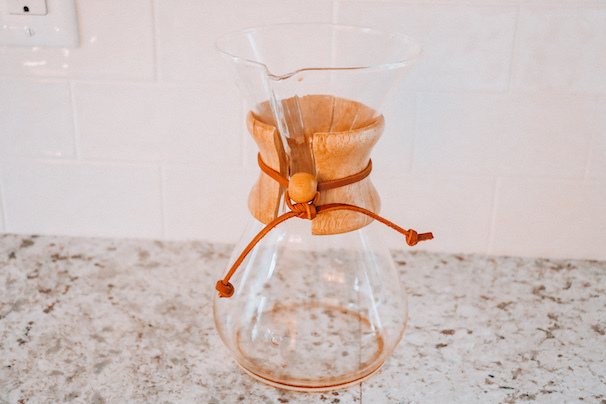 Whether you’re one of the many latte drinkers in the country or you’re considering the switch from other drinks to this type of beverage, learning more about this coffee product is essential. Here’s all you need to know about this fascinating drink and how to maximize your enjoyment of the popular coffee. In its simplest terms, a latte is a coffee that is created by combining espresso with steamed milk and milk foam. It comes in many variants including both hot and cold while it is considered one of the most popular coffees around the globe. The latte is traditionally thought of as a breakfast coffee, and can probably be traced back to the 17th century despite the fact that it has only been commonly mentioned by cafes since the 20th century. It originates from Italy, although it has been used for many years throughout mainland Europe and Britain. Of course, it has been a popular drink in the United States for many generations too. 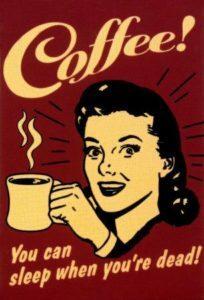 In fact, the commercial version of the drink is very much an American invention despite the fact Europeans have probably been drinking this variant of coffee for generations. Linguistically, the English word “latte” is a shortened version of the Italian “caffe latte”. In other countries, the drink is commonly referred to as “cafe au lait” (French) and “cafe con leche” (Spanish) which translates to “coffee with milk”. Ask for a latte, lait, or leche in those countries, and you’ll simply receive a glass of milk. In America, the drink as we know it today is claimed to have been invented in Berkeley, California by the Caffe Meditterraneum. It wasn’t until the 1980s that its popularity exploded in Seattle, often heralded as the capital of coffee due to it’s Starbucks links as well as the fact the number of coffee shops per person is 10x the national average. Unsurprisingly, this spread coast to coast over the next few years, establishing itself as a national obsession before the turn of the millennium. Given the millions of cup consumed each day, it seems that the popularity of the latte is here to stay too. As the name suggests, the latte is essentially created by mixing coffee with milk. The milk creamer is traditionally a combination of steamed milk and milk foam. In many ways, a latte is very similar to a cappuccino but has more steamed milk and only a little milk foam instead. Another similar coffee drink is the macchiato (read what is a Macchiato to learn more), which uses foamed milk only. A latte starts with an espresso shot (one for standard sizes and two for larger). This is then topped with the steamed milk (6 to 8 oz, or more for a large) and the milk foam. A barista may pour the milk foam in such a way that a pretty pattern is created. Since going mainstream in the 1980s and 1990s, the basic formula for success has remained. However, new flavors have been introduced with vanilla, cinnamon, and various syrups now added to millions of latte every single day. 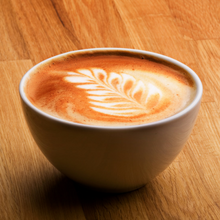 Lattes may use whole milk, 2% milk, or nonfat milk. In recent years, coconut milk and almond milk have become increasingly popular for dietary needs as well as personal tastes. Soy milk is another option. An iced latte is an equally popular choice in the summer months. 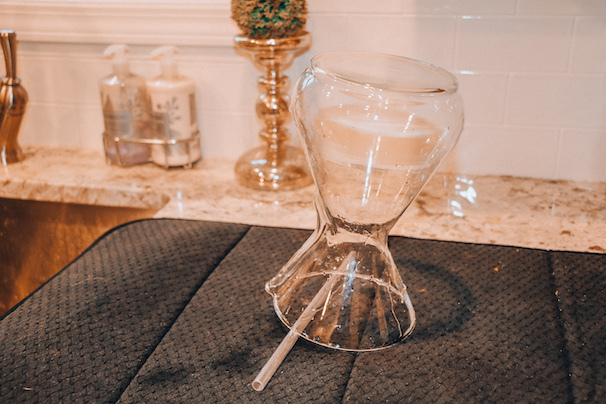 This is created in a similar way but substitutes the steamed milk for chilled milk and is poured over ice, which may be liquidized for better consistency. Aside from being a staple summertime coffee shop product, iced coffees commonly feature in stores. The popularity of the latte isn’t only expressed by the amount of cups sold per day. The fact that millions of latte drinkers consume a cup (or more) every single day is telling. If you’re a latte drinker, this is probably a crucial part of your morning routine. However, the trip to your local coffee house isn’t the only option. You could always make a coffee at home too. First and foremost, you need an incentive to make the switch. Here are just five reasons to start crafting your lattes at home. You’ll save money. A $5 coffee each morning equates to roughly $150 per month. You can probably craft your own brews for a fifth of that price. Even if you spend a few hundred dollars on a fancy home machine, you’ll make that money back in no time. You’ll save time. Nobody enjoys spending 10 minutes waiting in line, especially when you’re running late for work or another daily task. Making it at home while getting ready is a far more efficient solution. You’ll be able to have it your way. It might take a little trial and error, but you’ll soon find a way to modify the tastes to suit your personal preferences. Essentially, you’ll be getting the drink you love time and time again. You’ll have greater control over the nutritional content too. Merely trading specific ingredients for healthier options can make your homemade alternative far kinder on your waistline. The reduced guilt should increase the enjoyment. You’ll lead a more eco-friendly life by trading those single-use coffee cups for mugs. Even if you take the morning coffee with you, the use of a reusable flash will make a big difference for any green living enthusiast. Not only are there several incentives for making a latte. It also happens to be one of the easiest speciality coffees to create at home. For the quickest results (that are probably the closest to barista coffee quality) buying an espresso machine that includes a milk steamer facility is the ultimate answer. 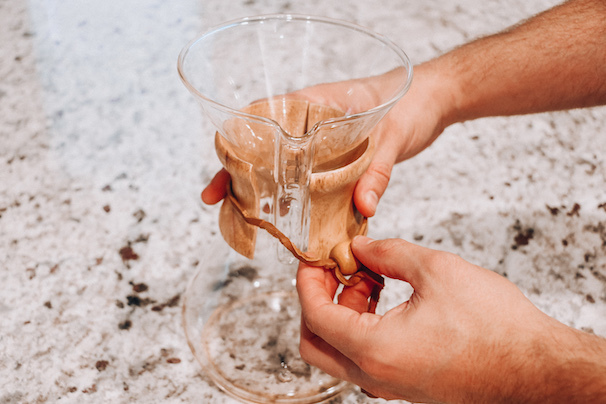 With this machinery, most of the hard work is completed on your behalf while easily used pour systems allow you to turn the milk creamers into beautiful designs. Or you can just keep things simple. While the coffee shop will use espresso, you can create equally delicious results by making a strongly brewed coffee. 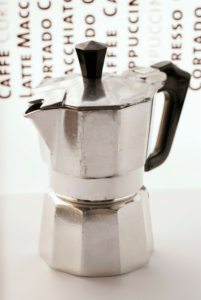 Whether using a coffee machine, a moka pot (read how to use a moka pot), a percolator, or even instant coffee is up to you. Top this with milk that has been warmed on the stove using a milk pan, and you’ll still gain that luxury latte taste even if this is a very slight variation. Using either of those methods will bring positive outcomes but only if you use quality ingredients. Any quality store-bought milk creamer will be fine. However, the choice of espresso granules will have a significant influence on the overall texture, strength, and taste of your latte. Finally, it’s worth noting that these tips are to create a basic latte of strong coffee with milk. If you wish to replicate the specific flavors such as caramels that are offered by your favorite coffee shop, you’ll need to add these separately. With so many online recipes and ideas readily available, this is an excellent opportunity to try out a few tastes until you find what works for you. If nothing else, it should keep your latte experiences more exciting while also allowing you to create varying tastes for different family members. Who is a Latte For? The latte is primarily a breakfast coffee, although people do still drink it later in the day and into the early evenings. Nonetheless, it most popular at breakfast time due to the intense caffeine boost provided by the espresso. This highly-concentrated coffee can perk you up in an instant and lasts for a fairly long time too. With this in mind, the perfect latte is most commonly enjoyed by those looking for that quick energy boost. Honestly, it doesn’t matter what type of job you do. 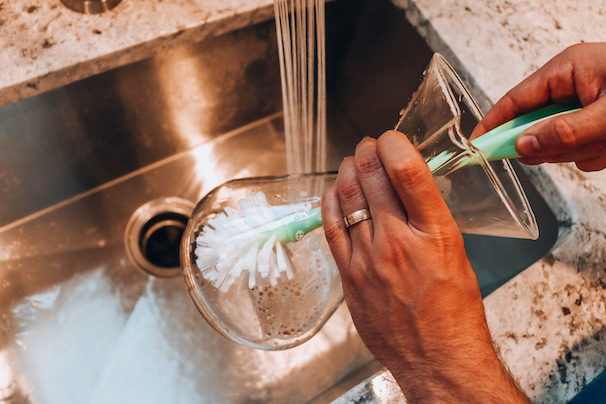 Whether you’re an office worker or a construction worker, anyone needing a quick start to the morning may find themselves opting for the latte over many coffee alternatives. The summer months may see you turn your attention to the iced variant of the drink. 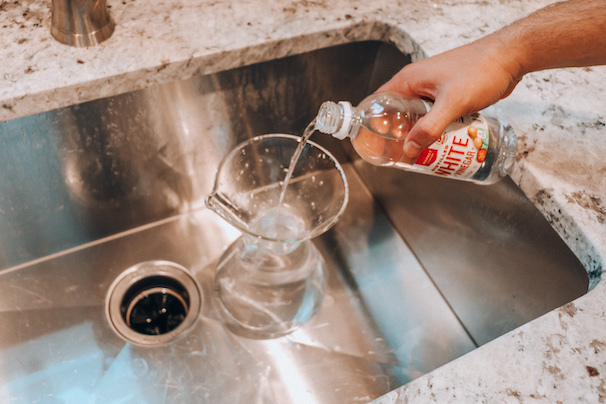 Meanwhile, the additions of syrups and other ingredients are purely for taste, although it could be argued that millennials are more likely to opt for those specialty tastes. After all, a Starbucks latte is a fashion statement as well as a tasty and invigorating beverage. Where are Lattes Most Popular? While the concept of combining milk with coffee is a longstanding tradition across Europe, it has only been a cafe and coffee shop tradition since gaining popularity in Seattle. The espresso plus steamed milk products are now a winner in the modern household and commercial venues from coast to coast. 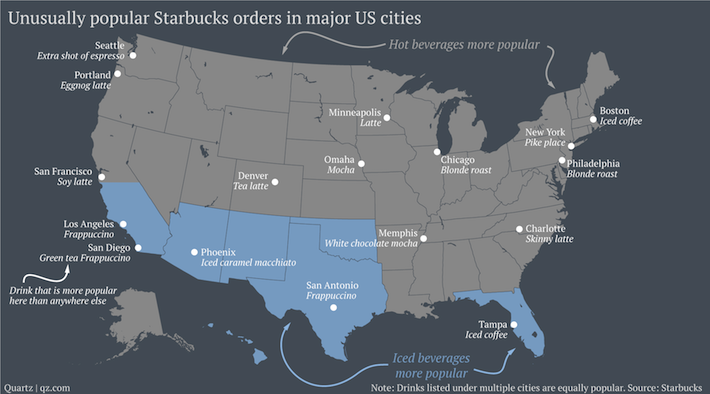 Starbucks research into the most popular festive drinks shows that variants of the latte are the most commonly purchased hot beverages in Texas, California, Western Mountain Region, Mid Atlantic, Pacific Northwest and Midwest. Each of those regions consumes a lot of lattes throughout the year while sales figures across other regions are still high. Lattes are popular in Canada, Britain, and many parts of mainland Europe too. Spain, Italy, and France are the three countries synonymous with lattes, but millions of Germans, Belgians, Swiss, and Dutch are big fans too. All of the Scandinavian nations consume a lot of coffee, including lattes, with Finland leading the way in terms of coffees consumed per person per year. Consumption figures of coffee in Oceania are a little lower, but lattes are considered to be Australia’s most popular coffee drink. In South America, a lot of Brazilians drink coffee (including lattes), but the rest of the continent is less interested. Most of Africa drinks little coffee, although some northern territories are a little higher. Asian countries are perhaps more inclined to drink tea, although latte sales are still among the highest of all the coffee beverages. Essentially, lattes are consumed across the globe, and lattes are a central figure. October 7th is National Latte Day. December 3rd is National Peppermint Latte Day. David Schomer is the man credited with starting the phenomenon that resulted in our national (and global) love of the drink even though the term can be traced back to William Dean Howells’ essay ‘Italian Journeys’ over 200 years earlier. Schomer is also a co-founder of the Espresso Vivace. For those wanting to create wonderful homemade lattes, his books are a great reference point. The creation of latte art is big business. In fact, you can even train in this line of barista work. Meanwhile, Kazuki Yamamoto has taken things to the next level by introducing 3D works, depicting everything from Snoopy to flowers. 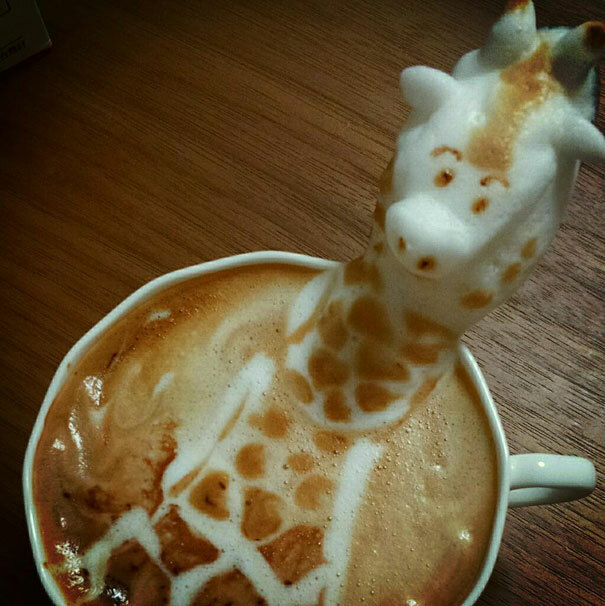 Furthermore, several competitions are held to decipher the best latte artists on the planet. Considering it’s still only 30-something years since the craze started, it’s frightening to think about the future of lattes. As long as the great taste remains, we’ll be more than happy. 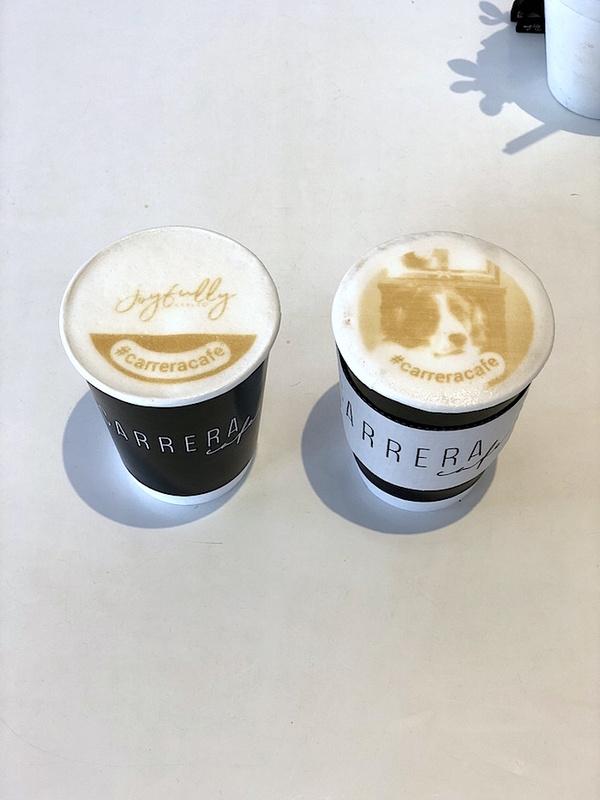 As a side note, I recommend checking out Carrera Cafe in Los Angeles because they do some really cool latte art. The latte is undeniably one of the most popular coffee beverages in the world, and it started life in its commercial form right here in the USA. While it wasn’t until the 1980s that it began to gain notoriety, it’s now very difficult to remember a world without the morning latte. For millions of American, it is now very much an essential part of the daily routine. Whether you opt for a homemade brew or stick to your morning trip to the coffee shop doesn’t matter. Just remember to tweak the tastes and the ingredients to suit your taste and dietary preferences for this to remain your perfect caffeine hit for years to come.